First take a bowl in that add Besan flour, rice flour followed by red chili powder, asafoetida, salt. Take a potato. wash well and cut potato in to thin round shape and keep it aside. Take a small part of the Bajji batter and pour in to the oil, to check whether the oil heated or not. When the batter puff up from the oil means dip the sliced potato both sides well in batter and pour in to the oil. Once oil is heated reduce flame to low, when we put the sliced potatoes in to the oil and then increase the flame in to medium level. 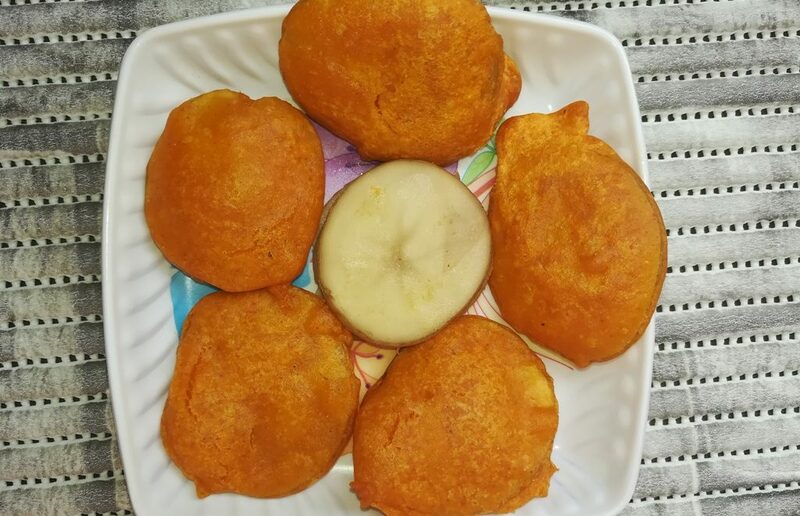 Then fry both sides well and put into the tissue paper to absorb extra oil from the Bajji. Same process will be followed for remaining potatoes. 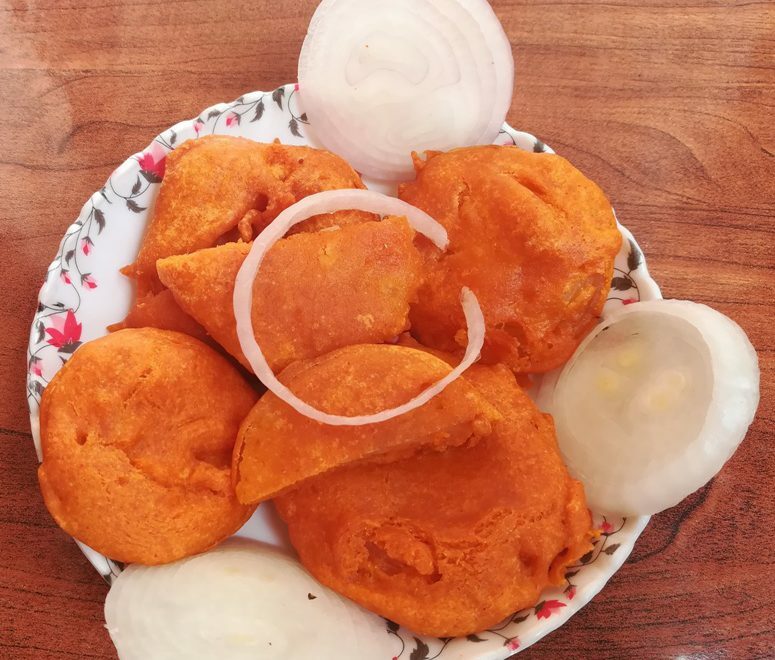 Now hot and crispy Aloo Bajji recipe is ready to serve. Serve Aloo Bajji with coconut chutney, Kara chutney and tomato ketchup. It is a best tea time and rainy time snack.